Vegetables thrive in Abilene, Texas, and can be grown at different times of the year according to their variety. Located in the middle of the state, Abilene experiences hot summers, cool winters and little precipitation. The average summer high temperature reaches 95 degrees Fahrenheit in July, and the average low reaches 32 degrees Fahrenheit in January. Its wettest month is May, which sees about 3.5 inches of rainfall. If given enough supplemental water and the right soil conditions, most vegetables will flourish in Abilene, even cool-season vegetables if they are planted early in the spring and in late fall, according to Texas A&M University Extension. Plant tomato seedlings, or young plants, in Abilene, rather than growing them from seeds in the ground, so the fruit will mature earlier and the harvesting season can be extended. Dig a hole large enough and deep enough to accommodate the roots and bottom part of the stem of the plant, and place the seedling in the hole. Gently tamp the soil around the stem, leaving it at a level that reaches just before the first set of leaves on each plant. Plant tomatoes in the spring for summer harvesting and in late summer for fall harvesting, starting one to eight weeks after March 16, which is Abilene's last predicted spring frost date, and 12 to 14 weeks before Nov. 16, which is the first predicted fall frost date. Grow tomatoes in full sun and in well-drained, slightly acidic soil. Water them thoroughly and deeply so the soil remains moist but not sopping. Allowing the plants to wilt could affect fruit development. Small tomato plant varieties such as Red Cherry and Presto grow well in Abilene, as do large types such as Spring Giant and Homestead. Radishes are quick-growing vegetables, often maturing within a month. But as cool-season vegetables, they don't tolerate high temperatures. In Abilene they must be grown in the spring and fall. Start growing radishes in Abilene before the last predicted spring frost date on March 16 and eight weeks before the first fall frost date on Nov. 16. Mother Earth News suggests sowing radish seeds at 10-day intervals until three weeks after the last spring frost date and at two-week intervals until three weeks after the first fall frost. Loosen the soil from six to 10 inches deep and add well-rotted manure or compost to enrich it. Plant the seeds one-half inch deep and thin seedlings to three inches apart when they come up. Plant radishes in full sun or partial shade and provide them with about 1 inch of water per week. These cool-season root vegetables also do well in Abilene and can be successively planted before and after the hottest summer months for longer harvests. Plant them four to six weeks before the last predicted spring frost on March 16 and 12 to 14 weeks before the first predicted fall frost on Nov. 16. Sow carrot seeds in deep, loose, well-drained soil. Plant them in full sun and ensure they receive at least 1 inch of water per week. Make two or three plantings about three weeks apart and thin the plants to two-inch spacings as soon as they are strong enough to pull out of the ground to give the remaining plants room to mature. 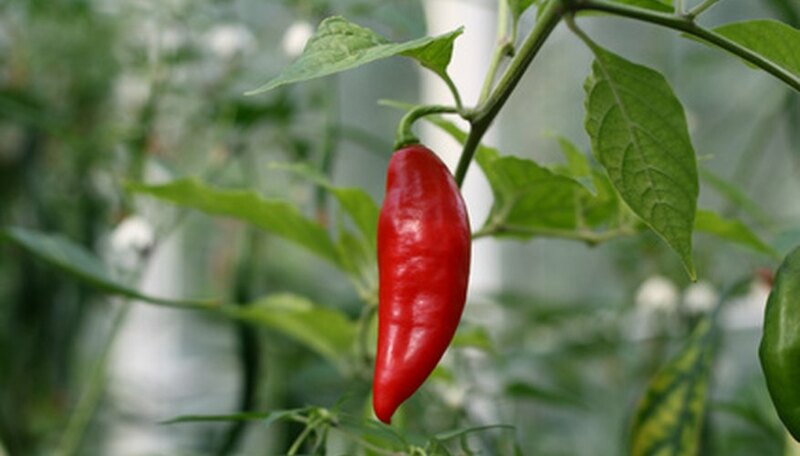 Peppers, like tomatoes, are warm-weather vegetables that do best if grown when there is no danger of frost. Plant seedlings for quicker harvesting. Plant them one to eight weeks after the last predicted spring frost date on March 16 and 12 to 16 weeks before the first predicted fall frost date on Nov. 16. Space the plants 2 ½ to 3 feet apart in soil that is high in organic matter and plant them about one inch deeper than they grew in their containers. Keep the plants well watered so they do not become stressed and drop their blooms. All pepper types can be grown in Abilene, but hot varieties, such as habaneros, do best. Plant them in full sun and keep the soil around them moist but not soaked. What Vegetables Can I Plant in June in Texas?